What do the IRS, Meghan Markle and Macy’s have in common? They’ve all been involved in high-profile website crashes. The IRS made headlines this spring when its website crashed as last-minute tax filers scrambled to submit returns online. An unfortunate error message called the crash a “planned outage” that would last until the year 9999. Markle triggered a crash when she wore a coat from the Canadian firm Line the Label on the day her engagement to Prince Harry was announced. Fashion enthusiasts flocked to the company’s website, which wasn’t prepared for the traffic. You can only imagine how much money was lost to missed sales. The same missed opportunities have plagued Macy’s. For two years in a row, the company’s website has slowed to a crawl on Black Friday during the height of the holiday shopping season. Horror stories like these keep many a test manager up at night. But there are ways your Test Centre of Excellence (CoE) can keep your website humming and your company out of the headlines. The key is to test early, test often and test everything. If you’re locked into proprietary testing tools, though, that may be easier said than done. You likely won’t have the scale, speed and flexibility you need to test every piece of code as development is underway. The choice is to either test less and do it infrequently, or to slow the Agile development cycle while you catch up. Neither option is great for the reputation of your business and your Test CoE. 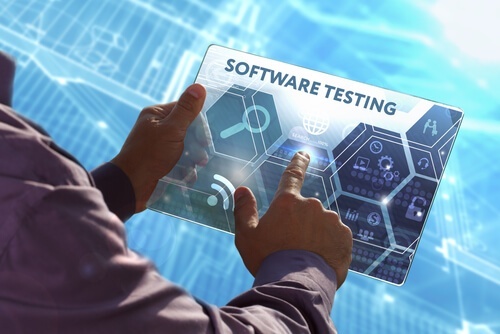 Learn more about the challenges that today’s Test CoE faces today in our earlier blog series, where we’ve shown how by making the move to an open-source testing platform can ensure your testing team’s future relevance. Get test volume at speed. Open-source tools can help you eliminate bottlenecks, provide decentralized test coverage for your Agile developers, broker appropriate test resources, integrate upstream and downstream workflows, and ensure continuous improvements that benefit both your developers and their customers. That’s why many test teams are making the move to enterprise-grade, open source tools from CA BlazeMeter. With open source, everything changes. You can quickly create and run multiple tests in parallel at massive scale across broad geographies, working in the cloud or on your own private network. That means you won’t have to sacrifice quality for speed. You can simulate thousands or even millions of virtual users who make all the requests a real customer might make as they navigate your website – helping you identify bottlenecks and critical points of failure. And you can do it in minutes. BlazeMeter equips you to run tests against everything – including web and mobile apps, microservices and APIs. Interactive reports and alerts show you where you need to take action and resolve issues before code moves into production. You even get a free, automated tool that can convert your existing LoadRunner tests to open-source. It couldn’t be faster or easier. Elevate & broaden your role. When you adopt BlazeMeter, you also can free up CoE resources to focus on broader strategic initiatives. And that begins with shifting testing left. Since no specialized scripting skills are needed for open-source testing, you can empower developers to test early and often on their own while their work is underway – in the same language they use for development. Your CoE then becomes an automation and integration hub and an expert resource, brokering the tools, test services and support each Agile team needs. Start with learning how to convert traditional LoadRunner Tests to JMeter. To support your broadened role, BlazeMeter gives you centralized visibility into the many development projects underway across your business. Rich reports and interactive graphs help you monitor system-wide KPIs, quality metrics and testing resources consumed – all on a single dashboard. You can spot overarching quality issues, enforce standards and best practices, and determine where additional test resources are needed. Ultimately, your entire testing process becomes streamlined and efficient. You can support flawless performance and banish the fear of failure. Isn’t it time your CoE made the move to open-source? Adopting CA BlazeMeter can help you blast through bottlenecks, save money and improve both the quality and performance of your software. Shift testing left in the Test CoE, and accelerate your continuous testing across your Agile teams. Simply visit our website to explore the features of BlazeMeter or to request your free demo!